Expires in 2mo . Last validated 1wk ago . Used 9 times. 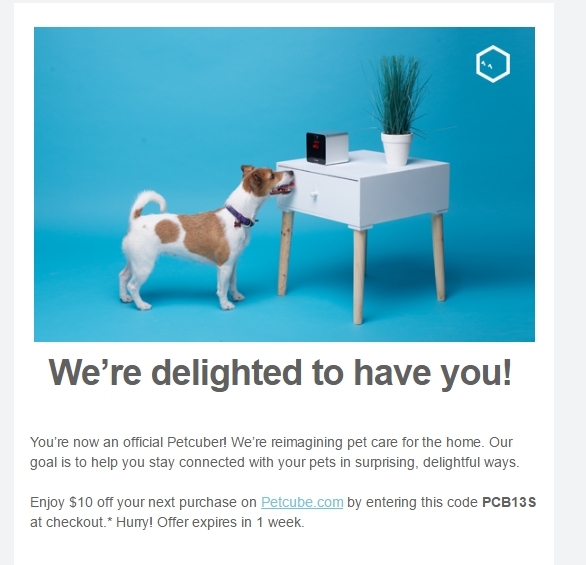 Dilcia Araujo Use this promo code and Save 10% Off Your Order at Petcube, just copy and paste the code at checkout to claim your discount. Gabriela Brito I am re-activating this expired deal. 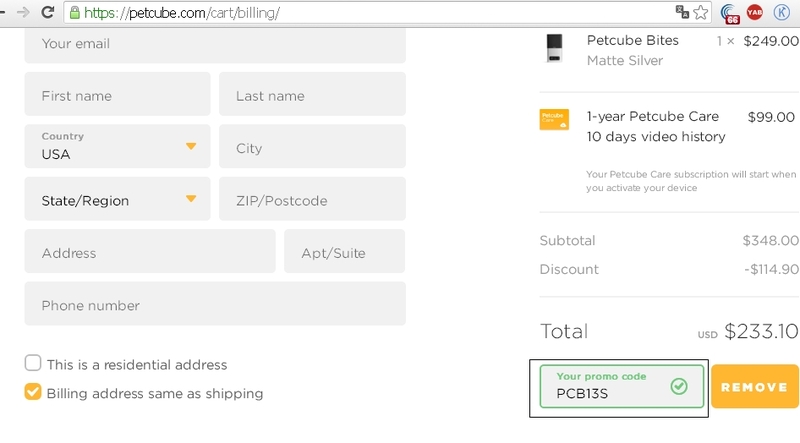 I verify and it works correctly as described, Simply enter the promotional code PCB13S and enjoy. Hanna Hzing I am re-activating this expired deal. I will update it and validate that it works. For redeeming this offer. 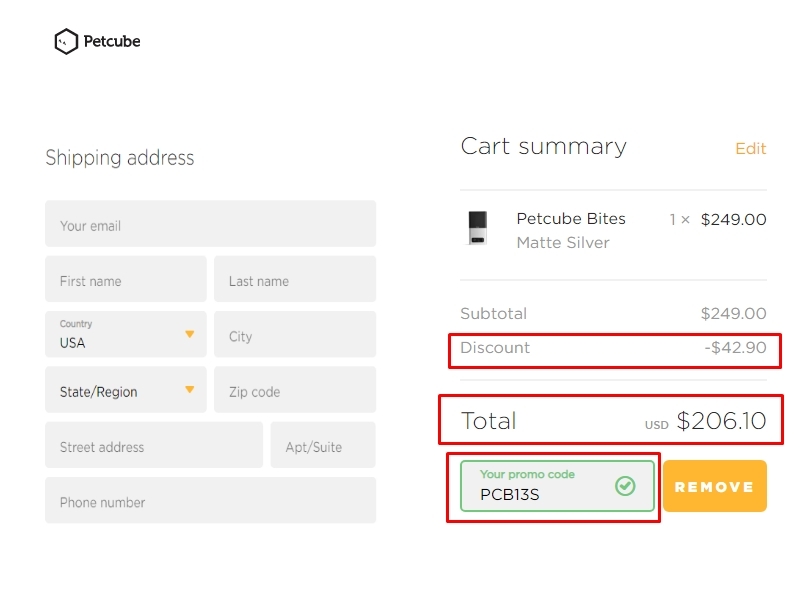 Add items to your cart and enter promo code PCB13S at checkout to get the discount. CouponsToday Add your product to your cart or bag, then apply the promo code in the coupon or voucher bar. Check is the promo has been applied. 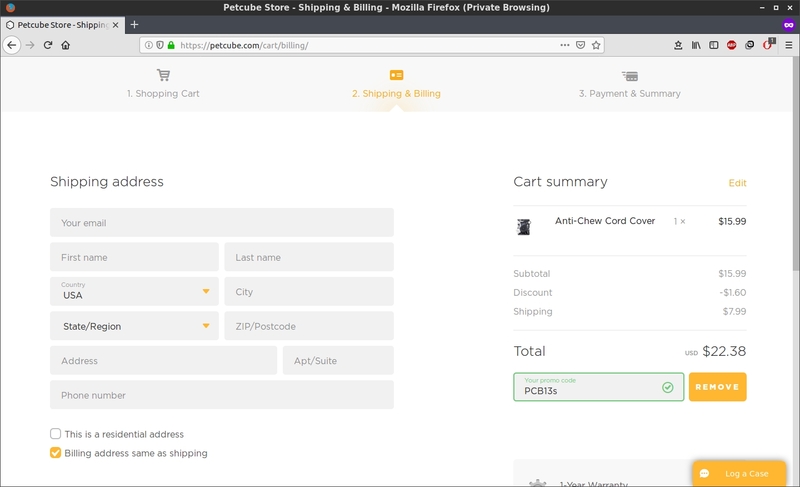 The promotion is true, the code is applied exactly as indicated.